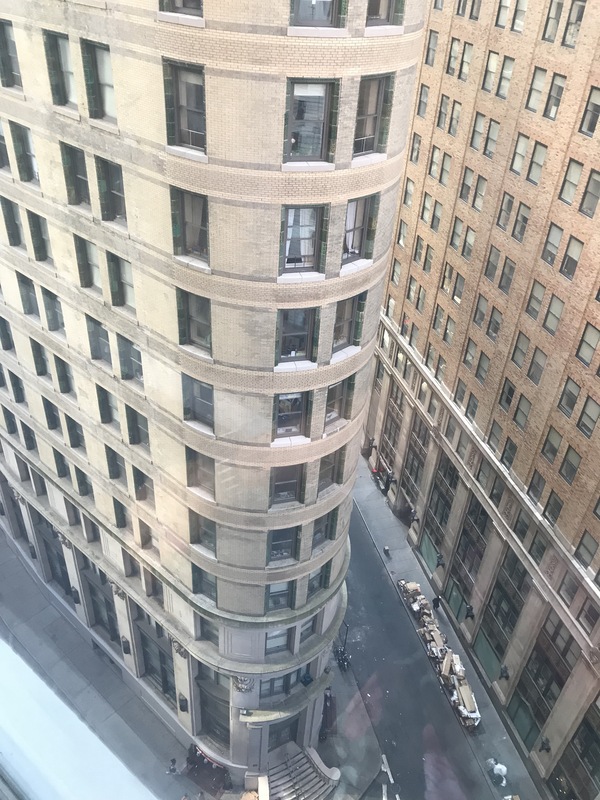 We decided to stay in our old neighborhood on our last trip to NYC, and the Andaz Wall St is literally next door to the building that we used to live in. It was also close to many of the things we wanted to check out, and nearly every train is a few blocks away, making it easy to get anywhere. The room was HUGE by NY standards. It was really comfortable and had some really cool and unique features. One of the best parts about vacation is the option to be lazy, and the control for the lights and blinds made it pretty easy. 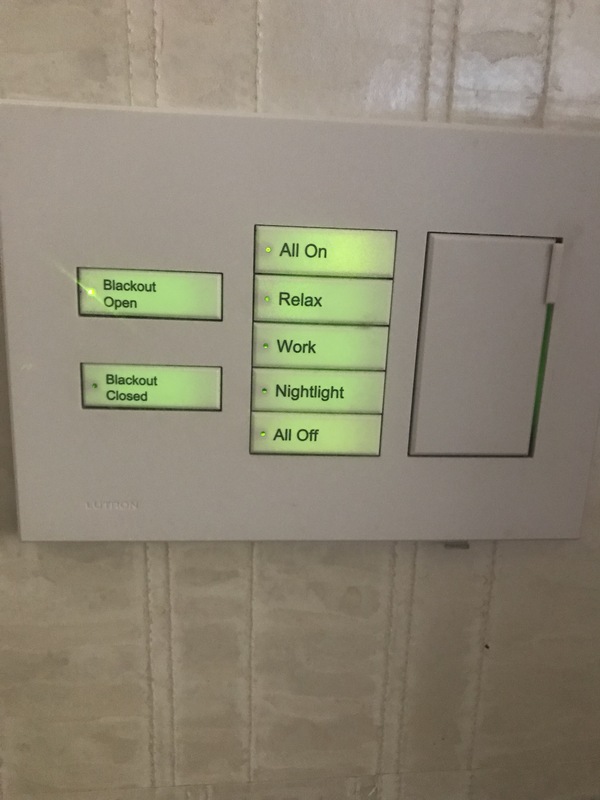 Right next to the bed was the control for the lights, which had five different settings, plus the option to open and close the blackout blinds. 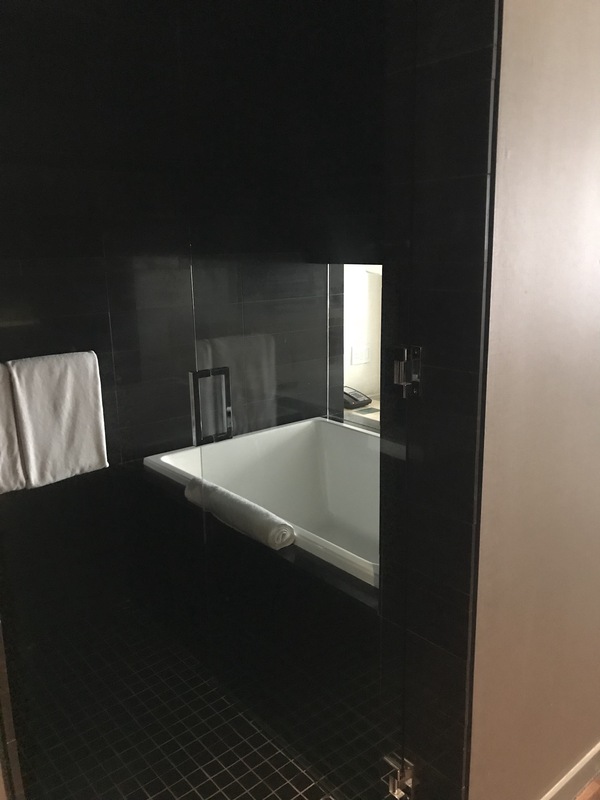 Right next to the bed was a bathtub and the shower. 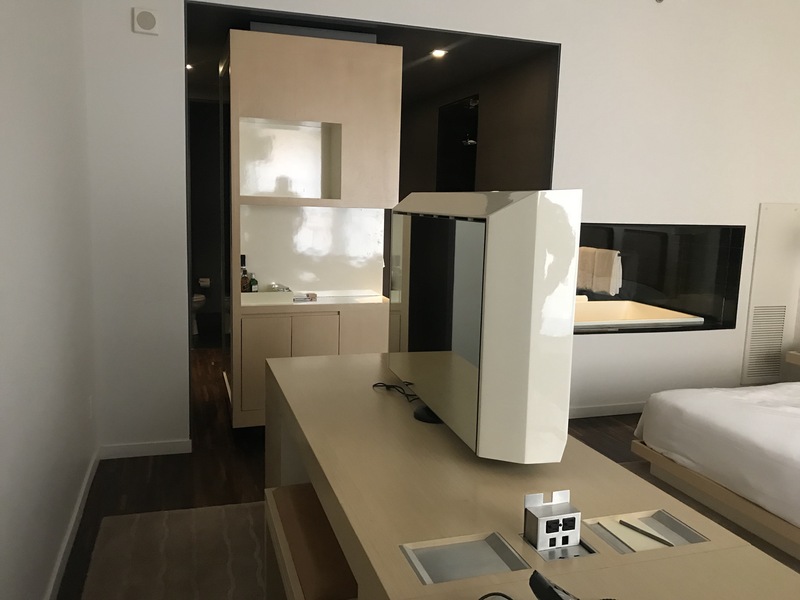 There was just a glass wall to separate the bed from the bathing area, so don’t share this room with someone you aren’t extremely comfortable with! The tub was nice and deep and the shower was huge with great water pressure. The bed was really comfortable and there was tons of room around it. 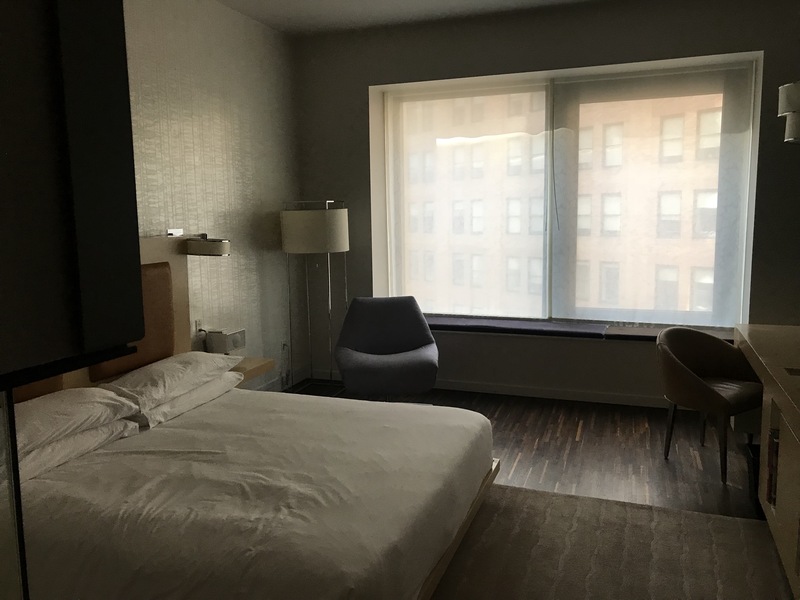 Hotel rooms in NYC often have very little walking room around the bed, so it was nice not to be sleeping up against the wall. One of my favorite areas of the room was the vanity, built into the back of the TV stand! There was a mirror and bench, and it was the perfect place to put my face on! The lighting was great and I wasn’t in the Husband’s way! I’m keeping this in mind if I ever design a bedroom. And, like most Andaz Hotels, there was a bench window seat with a great view. There are few things I love as much as a city view. I love the buildings, I love watching the people walk around down on the sidewalk, and I may kinda like looking in other people’s windows. Hey, if you leave your blinds open when you’re that close to another building you’re practically inviting me in! This was on of my favorite stays in NYC. Of course I’m biased since it’s my beloved neighborhood, but the hotel was amazing. Hopefully I’ll stay here every time we visit!